Like a raging bull who had just seen flashes of red, he charged over the advertising board and embedded his studs into the chest of Crystal Palace fan Matthew Simmons. It was the defining footballing image from the Premier League in the 1990s. An unspeakable incident that prompted endless media coverage, psychological analyses and protests from impassioned fans committed to bringing down a man they viewed as both a criminal and a dangerous mind. That night at Selhurst Park will forever be remembered as the most shameful in Cantona’s career. It had already been an eventful game for the Frenchman. He was sent off for a kick on Crystal Palace defender Richard Shaw in another hot flash of temper and was making his way to the tunnel when was greeted by the snarls of Matthew Simmons, who had run down 11 rows in the stands to hurl abuse at the departing striker. Cantona, who had never been one to lie down in his lifetime, responded in the least congenial of manners. Cantona was sentenced to two weeks imprisonment but won an appeal, which whittled the punishment down to 120 hours of community service. After winning his appeal, Cantona greeted a swathe of journalists in a press room in Croydon Court with an immeasurably cryptic explanation. “When seagulls follow the trawler it is because they think sardines will be thrown into the seas,” he said before getting up and striding out of the press conference, leaving the assembled press in a state of utter bewilderment. 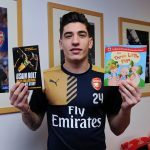 Was this some sort of cryptic retirement message? The flock of journalists spent hours chattering frantically amongst themselves, trying to make sense of the unintelligible mumblings that had stumbled from Cantona’s mouth. That was one of Cantona’s most memorable traits; he was gloriously unpredictable, incredibly enigmatic and utterly breathtaking in one swoop. Attempts to fully decipher his actions, words or even movement on the football pitch were, and still are, an exercise in futility. He is one of the great footballing mystics. Like a godly figure who arrived on the shores of England from Nîmes in France, he entranced the nation with his poetic genius, drawing the most fervent admirers but the sharpest sceptics simultaneously. 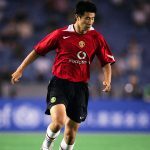 Like so many of football’s greatest anti-heroes, he polarised millions but is remembered to this day as one of the finest foreign players ever to grace the Premier League. It all started for Cantona in Marseille; born on 24 May 1966 to Albert Cantona and Eleonore Raurich in the secluded village of Les Calliols in Marseille. From a young age, Cantona was taught the basics of football by his father, who had been a goalkeeper for some of the local teams. Eric became transfixed by the movements of a football and practised relentlessly, getting his first taste of competition with his two brothers, Jean-Marie and Joel, as the three of them spent their evenings kicking crumpled newspapers in their bedroom, using the beds as goalposts. Eric’s love for football grew to fever pitch after visiting the Stade Vélodrome with his father to watch Olympique Marseille. Absorbing professional football with a front row seat in one of the most atmospheric stadiums in Europe was particularly emotive for a six-year-old Cantona. It was there, in the heart of Marseille’s raucous support that Eric fell in love with the beautiful game. He was transfixed by Marseille’s Swedish winger, Roger Magnusson, who dazzled opponents with his tricky feet and the electric pace and Josip Skoblar, the Yugoslavian goal-machine who was responsible for getting the Vélodrome rocking more than any other player during the early seventies. However, it wasn’t an Olympique Marseille player who really caught Cantona’s attention; it was a certain Dutchman by the name of Johan Cruyff. It was during Marseille’s 2-1 defeat to Cruyff’s Ajax when Cantona developed an infatuation with Total Football. It is amazing to think how a true footballing genius was directly inspired by the engrossing performance of another. Cantona, like so many others at that time, was taken aback at the free-flowing football expressionism Cruyff and his Ajax teammates so eloquently espoused. It was in those early years that Cantona became set on one thing; to ignite a stadium and draw feverish passion from thousands, much in the same manner as his idol Cruyff. The young Cantona set about achieving his dream, registering for his local team, SO Caillolais, where he started out as a goalkeeper. The problem for Eric was that Caillolais were a dominant team, regularly totting up scorelines that closely resembled a rugby match. Eric watched from the opposite end, bored and frustrated. Standing idly between the sticks was a colossal waste of his talent but he was determined to make an impression. He got his wish and was deployed in the forward line for a youth tournament in Cannes. Caillolais won the tournament and Eric was voted best player. 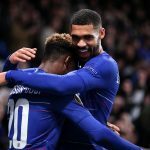 Six years of scoring freely for Caillolais started to get people talking as Cantona’s eye for goal, assured touch and superior technical ability became abundantly clear as the matches rolled on. Cantona received an irresistible invitation to join the renowned youth academy at Auxerre. Eric’s parents were less than excited at the prospect of their second son moving 500 miles away from their home to pursue his dream, but equally realised they would be remiss to stand in the way. Within weeks of joining the youth team, Cantona became the star apprentice of Guy Roux – the peerless doyen of Auxerre Football Club – as he shimmered wondrously in the French Youth Cup and at under-17 level for the French national team. Eric bided his time excellently, surviving the punishing and brutal environment of third-tier French football where he regularly came face-to-face with the hardest defenders he had ever encountered; they specifically targeted the outstanding talents of the opposing team with the aim of eventually breaking them. Cantona’s swaggering self-confidence made him a prime target for the hackers habituating the lower echelons of French football, but he passed the test. His talent and hunger to succeed were simply irrepressible and there was no amount of leg-scything tackles that were going to stand in the way of Eric making the first team. Cantona’s biggest adversary in the early years was indeed himself. His physical transformation into a professional footballer was going swimmingly. His arms, thighs and back were beginning to accumulate a significant amount of muscle mass as Eric gained the weight required to go toe-to-toe with Ligue 1’s toughest opponents. However, his famously short temper was holding him back. After failing to impress on his first-team debut for Auxerre against Nancy in November 1983, Cantona was told by Roux that his time would come, but he needed to continue his education and focus on training with the reserves. When Roux recalled him in March 1985, Eric was instantly thrown in with the sharks. Auxerre’s opponents were Cournon-Le Cendre, a team of tough men moulded in the mining town of Auvergne in the centre of France. Cantona was targeted, naturally, by the defence as they launched a series of robust tackles on the young striker. Cantona did all he could to resist retaliation but one final tackle made him snap. Luckily for him, his reaction was not enough in the referee’s eyes to see him sent off, but the defender was given his marching orders. After the game, the Cournon players swarmed like an angry mob outside the Auxerre dressing room, waiting for Eric to emerge. When he did, he took on all ten of them, swinging his back and punching and kicking his way through the troupe until the spiralling brawl was stopped by Roux. The manager insisted that every player go into the Auxerre dressing room to be treated for injuries, with Eric sitting amongst the bruised and battered enemies as if nothing had transpired. 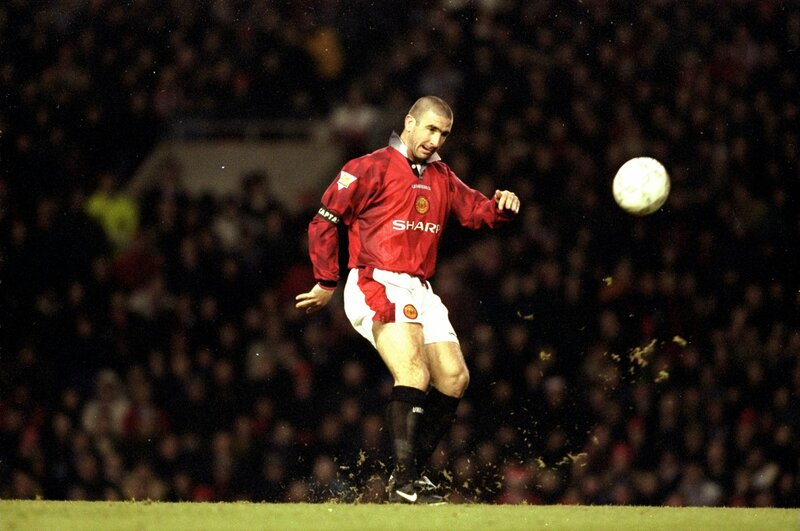 It was a night that showed the good, the bad and the ugly side of Cantona’s psyche. Toying with the defenders mercilessly, Cantona’s performance was a telling portrait of his skill and unrivalled flair at that level but his retaliatory antics towards the Cournon players cast further doubt over Eric’s ability to control himself. Perhaps his call-up to national service once he turned 18 was the appropriate method of discipline for him. As a general rule, professional footballers were allowed to return to their club at the weekends to play in matches so Eric was fulfilling his service during the week, training with the army’s football team, and returning to Auxerre on Saturdays to play. Roux had hoped the more regimented lifestyle and surroundings in during his time in service would knock Eric into shape and he was relieved to find that progress was visible. 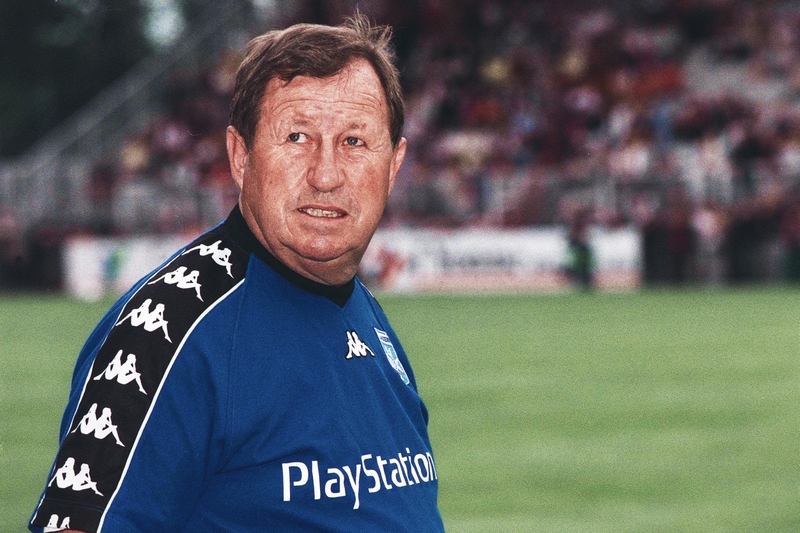 Cantona became increasingly pivotal for Roux as Auxerre flirted with the possibility of qualifying for the UEFA Cup. In the decisive league fixture, against Strasbourg, Auxerre needed a point to secure qualification and were losing 1-0 at half-time. Auxerre needed their prodigious talent to emerge after the interval and he duly obliged, scoring the equaliser with a 25-yard piledriver, Cantona ensured Auxerre’s passage into Europe and came of age as a professional footballer. It was a truly crystallising moment in the fledgeling years of his career and propelled him into the spotlight of European football. Unfortunately, Eric struggled to build on the ecstasy of gifting Auxerre a European place and his form dipped markedly the next season. In an attempt to rectify his slump, he was loaned to Martigues, who were in the throes of a relegation scrap and desperately needed a reliable source of goals. On the face of it, his record of four goals in 15 appearances for Martigues does not scream of brilliance but he was nevertheless their top-scorer and helped them escape relegation narrowly. However, he was again caught in the crossfire of his fiery temper as he lashed out at a spectator during a French Cup match for Martigues in not too dissimilar fashion to the Selhurst Park incident. His ill-discipline barely overshadowed his undeniable improvement in front of goal, though, and Roux recalled him to Auxerre and rewarded him with a long-term professional contract. With Auxerre’s long-standing attacking pivot, Andrzej Szarmach, leaving the club in 1985, Cantona finally had the opportunity to cement a regular starting berth in Roux’s attacking line-up. He seized it emphatically, scoring 17 goals as Auxerre once again qualified for Europe by finishing fourth. Cantona’s stock had risen spectacularly and he was acquired by Marseille, the realisation of a dream. Less than 20 years after witnessing the mastery of Cruyff in the Vélodrome, perched on his father’s shoulders, Eric had the chance to recreate the same kind of artistry, only this time he had the ball at his feet and the 50,000 spectators had their eyes fixed on him. “When I was a little boy, what made me dream was the Stade Vélodrome. And this love will never leave me,” Cantona eloquently told L’Équipe in 1994. In 1988, barely in his 20s, Cantona now had the opportunity to make others dream in one of football’s most glorious amphitheatres. Cantona’s time at his hometown club is not fondly remembered by him, for it was a stuttering three-year spell overshadowed by an incredible outburst that saw him banned from the French national team for almost a year. After discovering that manager Henri Michel had not selected him for a friendly against Czechoslovakia, Cantona launched a tirade against him, saying that he would never play for France again while Michel was in charge and that the coach was “one of the most incompetent managers in world football”. Eric’s time with Marseille was not to be, fraught by a fractured relationship with the fans and sent out on loan to Montpellier for the 1989/90 campaign. Cantona was a regular fixture in the team coached by future World Cup-winning Aimé Jacquet, scoring ten league goals in 33 appearances. But Cantona failed to rein in his irascible nature and was involved in a scuffle with teammate Jean-Claude Lemoult which saw Cantona throw his boots at the midfielder’s face and threaten to beat him to a pulp. Montpellier’s chairman, Loulou Nicollin, was incensed when he heard what had happened and sacked Cantona immediately. The persistent troubles he encountered in his native France forced Cantona to reassess his options during a forgettable spell with Nîmes, and he began harbouring ambitions of playing abroad. England was the destination of choice. It was there, a French footballing vagabond, disillusioned with his hometown and the French football federation, would sit on the throne at one of the biggest clubs in the world.